Good Story, Smooth Narration, TERRIBLE PHOTOSHOP!! The writing was well paced, the world and characters are well flushed out but not overly complex, and the story makes me want to keep listening. The ending felt a little rushed, but not so much as to take away from the experience. What about Savannah Richards’s performance did you like? She has a good, steady voice which makes the story flow as you listen. 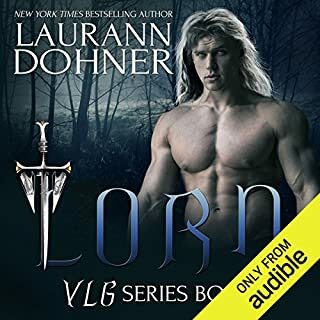 I think the male voices could be a little more varied, but her male voices are still some of the best I've listened to from an audio book format. I would definitely listen to any of her other work. Honestly, I'm writing this review just because;I ABSOLUTELY HATED THE DEPLORABLE PHOTOSHOP JOB OF THE GUY ON THE COVER!!!! LIKE, WHAT WAS GOING THROUGH THE MIND OF THE PERSON WHO OKAY-ED THIS! I LOVED THE BOOK BUT SEEING THAT...THING...EVERY TIME I OPENED THE APP KILLED SOME OF IT FOR ME. PLEASE! SOMEONE! CHANGE THE COVER ART FOR THE LOVE OF ALL THAT IS GOOD!!!! !